The water off the Big Island of Hawai‘i is so crystal clear it’s easy to see what creatures you’re rubbing shoulders with. That’s not always a comfortable feeling, even if you know – logically – that you’re safe! 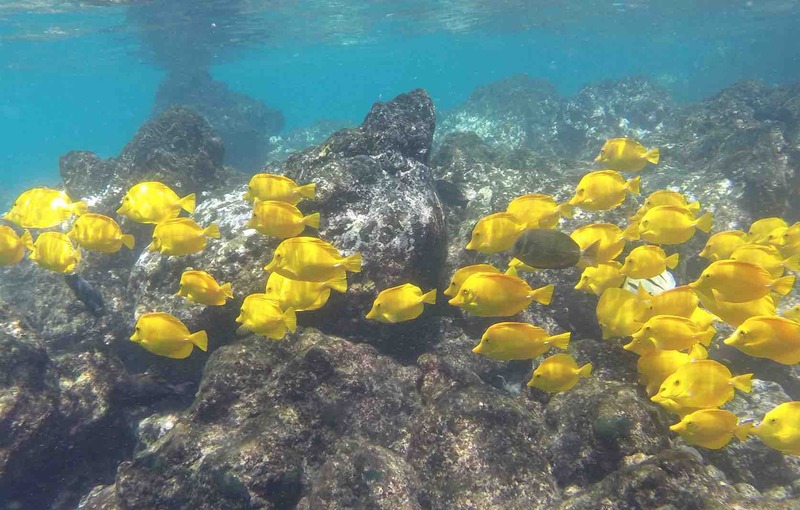 Harmless yellow tangs are two a penny. These brightly coloured fish are everywhere. 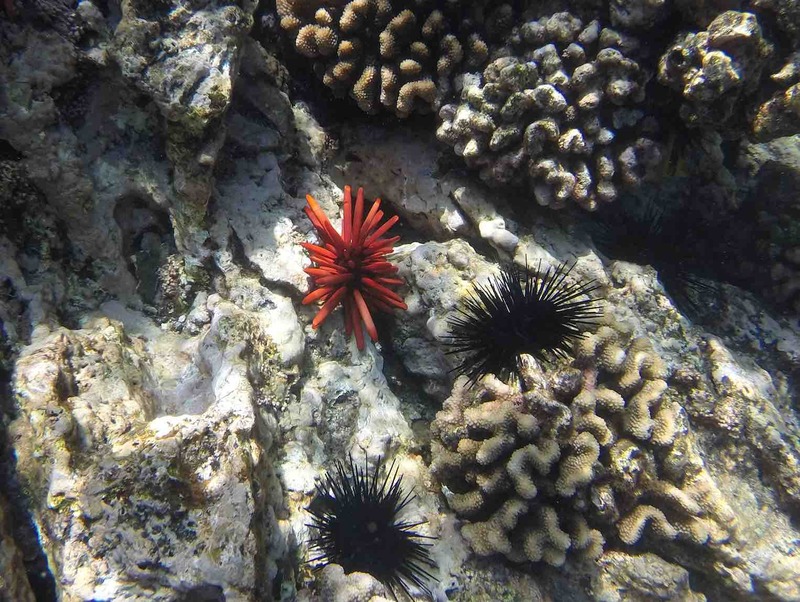 These spiky things were alarmingly prevalent, but at least they didn’t move. Don’t want to rest a hand on these. 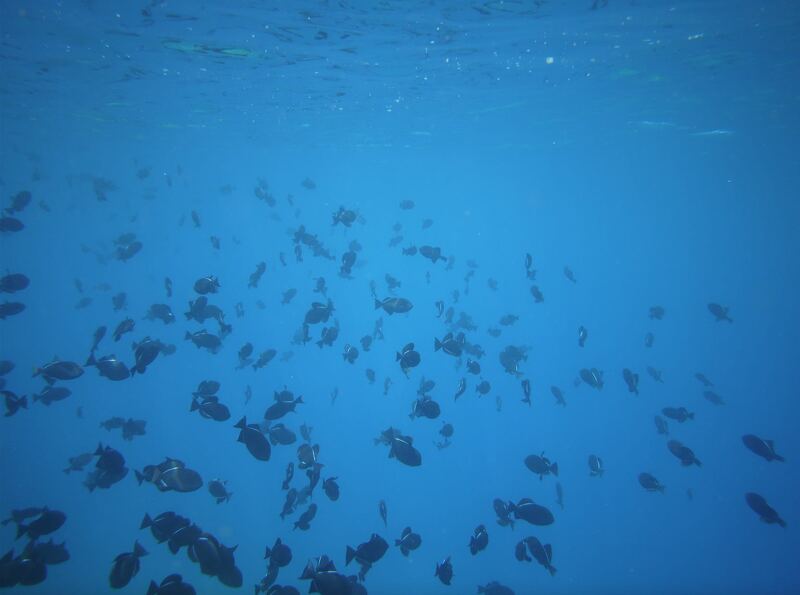 The white lines on the black triggerfish glowed gloriously neon underwater. Triggerfish that changed colour underwater. They were two a penny too. And harmless. Two-foot long pipefish were more rare. We saw only a few of these. 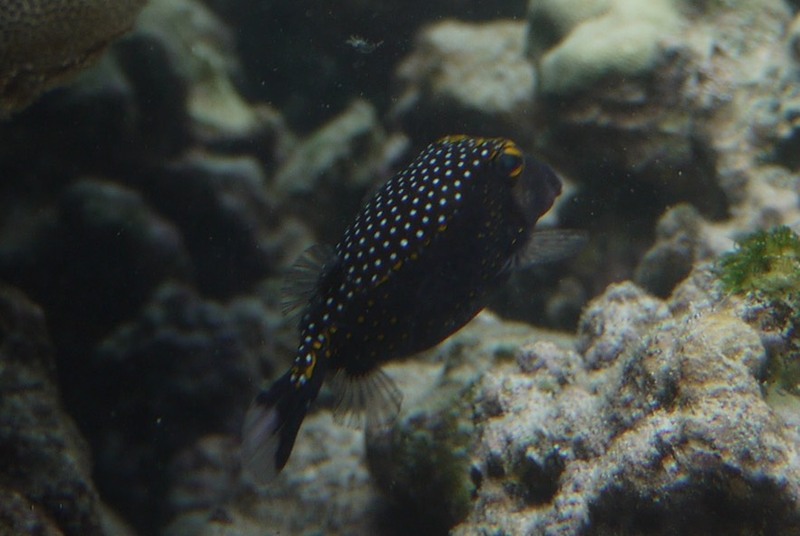 And we saw only one of these boxfish. 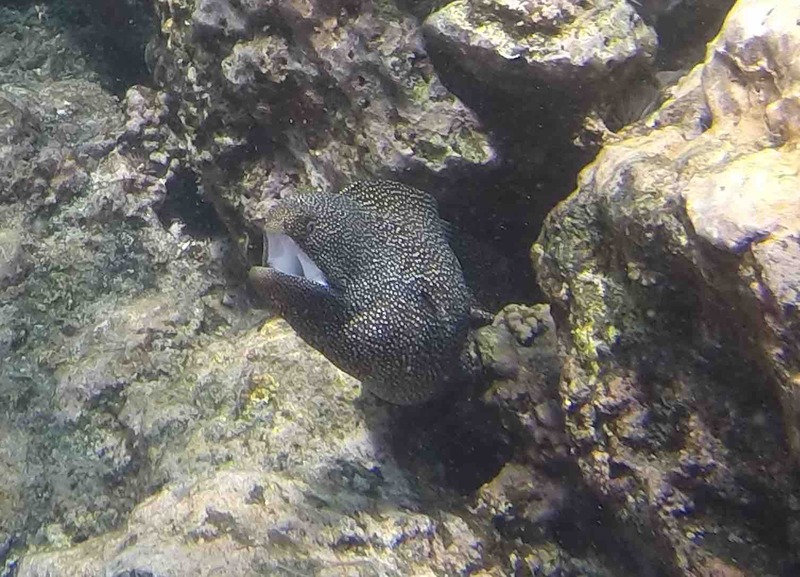 Moray eels have two sets of teeth. So even though we saw only three eels, that was three more than we were comfortable seeing!